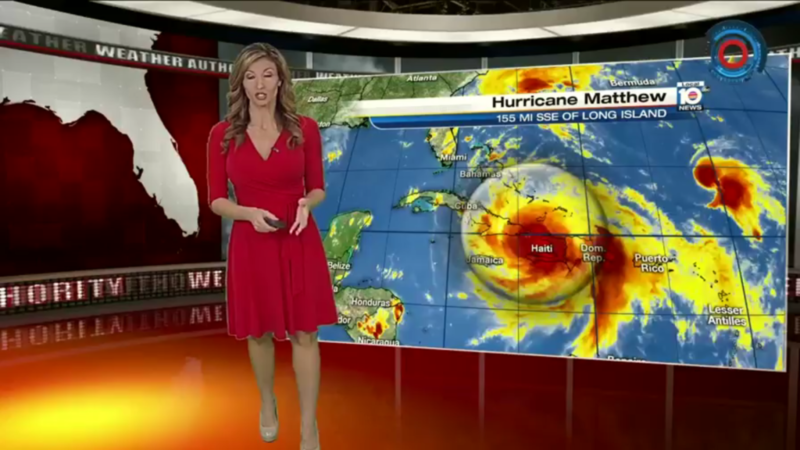 As Hurricane Matthew prepares to hit the United States, stations in Florida are covering the storm in full force, with radar loops and the red hurricane warning flags being a common thread. 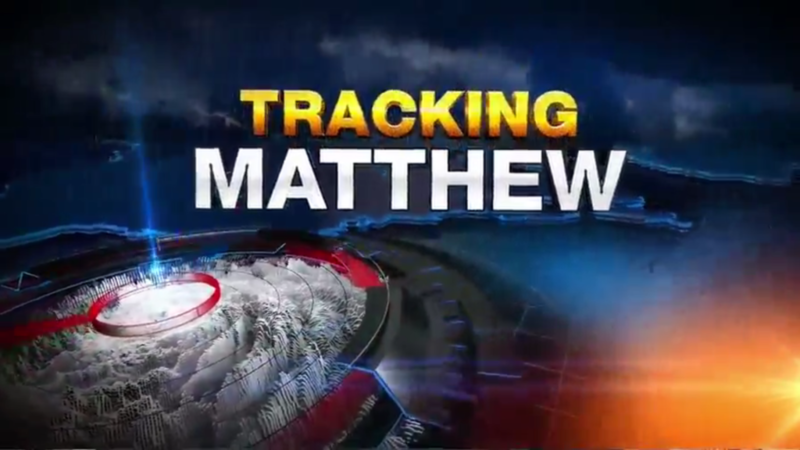 Miami’s ABC affiliate WPLG-TV is using “Tracking Matthew” as its branding for coverage, complete with a custom, hurricane-themed stinger. 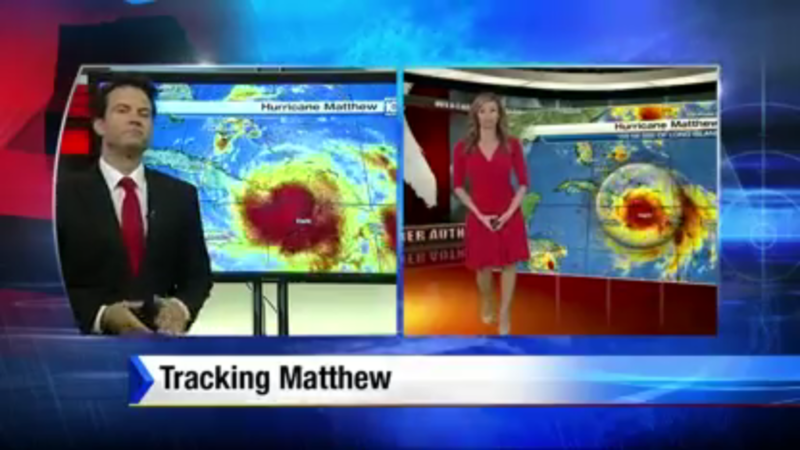 The station is also taking full advantage of its on-set video walls to display radar loops in wide shots. 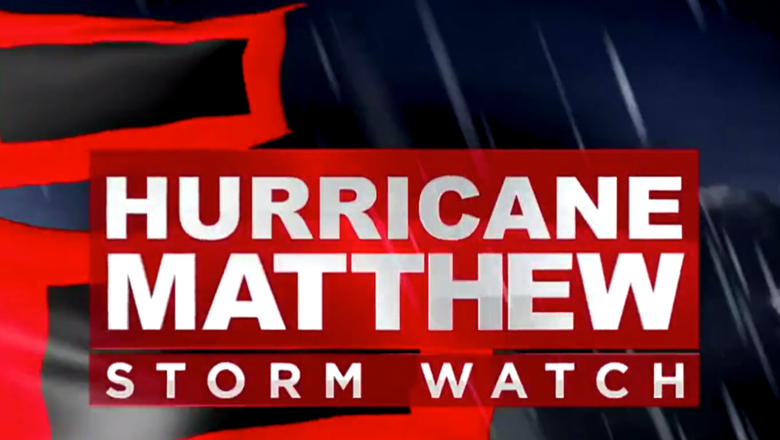 In addition, red hurricane warning flags have been added to the station’s lower thirds, while the video tiles behind the anchor desk are also turned red during some hurricane updates. 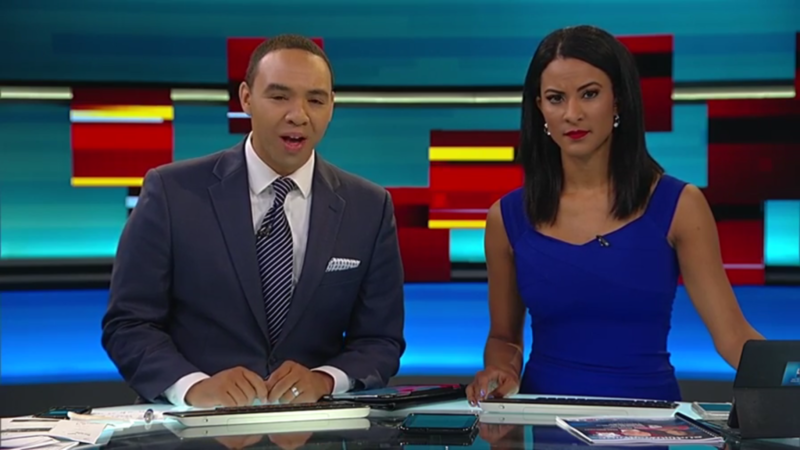 The station is also tag-teaming with two forecasters on duty at key times, with one stationed in front of a flat screen and the other in front of the chroma key wall. 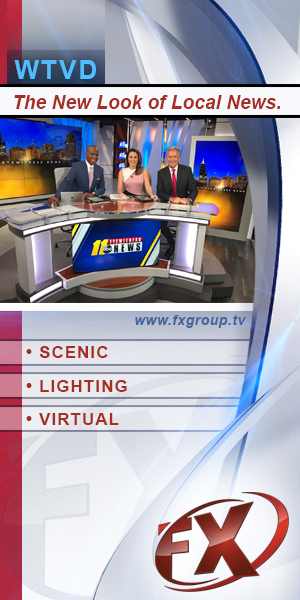 During reports originating from the chroma key wall, the station also makes use of a virtual set of sorts mixed with traditional, full screen chroma key shots.